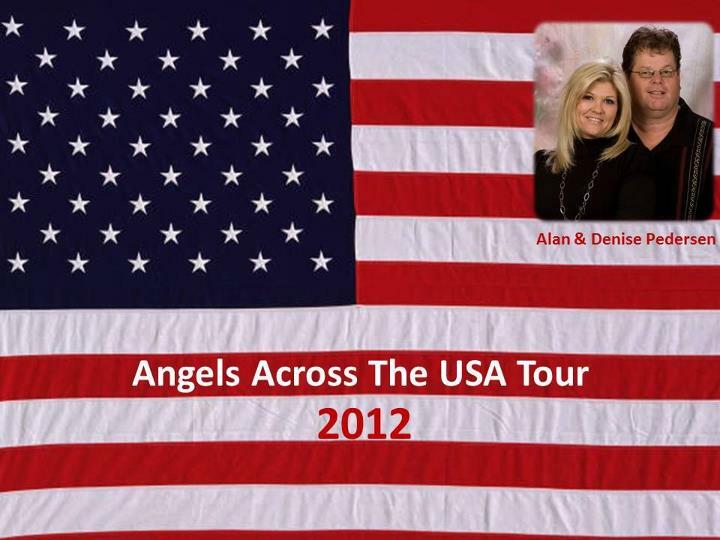 When I think of Alan and Denise Howard Pedersen and The Angels Across The USA Tour, I think of sipping hot chocolate, wrapped up in a warm fuzzy blanket on a frigid winter’s night, howling winds attempting to rattle the windows, but feeling safe and protected inside. Alan and Denise tour theUnited States providing caring, compassion, love and understanding to the bereaved. On Friday September 7, at 7:00 Alan and Denise will be making an appearance for the TCF East Of The River CT Chapter at the Hampton Inn & Suites, in Manchester, CT.
Alan’s presentation features a mix of humor and straight-from-the-heart talk with songs about love and loss. In October of 2010 Alan and Denise helped us recognize the opening of our newly founded chapter with an evening of song and stories. Those attending left with the feeling of having been hugged all night. I know that for me, what Alan shared from his own grief experience after the loss of his own beloved daughter Ashley, and his music, opened a door for me that I needed to go through in order to keep my sanity and (and I am not sure how to explain this…) return to loving Robyn in a gentler, warmer way. This event or any of the other Angel Across The USA events can make a “better” difference in your life. Over and over, I have heard Alan quoted and paraphrased by so many who attended our 2010 event. Seating is limited to the first 40 who register. Confirmation emails will be sent within 24 hours of registration. In the event that we need to relocate the event every attempt will be made to contact all those who have registered, so please make sure to double check your contact information. Is the EVENT LIMITED TO BEREAVED PARENTS AND SIBLINGS? Though Alan, Denise are both bereaved parents, Alan’s events are NOT LIMITED TO BEREAVED PARENTS. Anyone who has experienced grief or experiences grief from the loss of a loved one will find both Alan’s music and the words spoken between the songs encouraging and compassionate. Courtesy of The Compassionate Friends East Of The River CT Chapter, the event is free to all those attending. Donations will be accepted, separately, for both the East Of The River CT Chapter and the Angels Across the USA Tour.